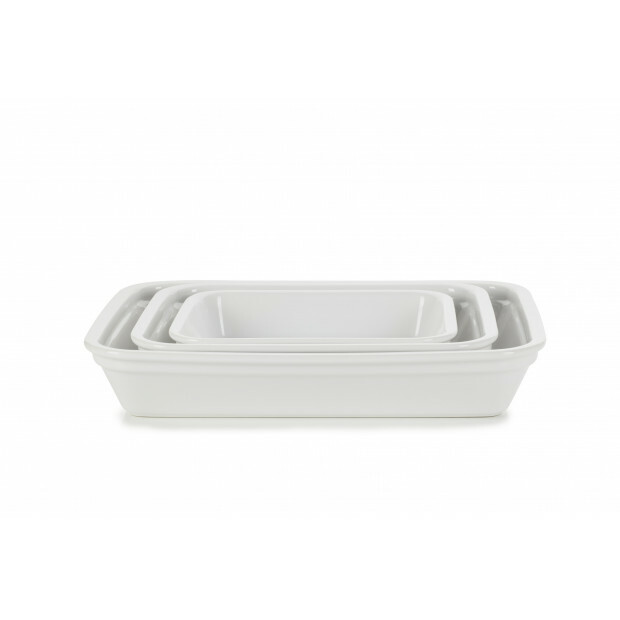 Set of 3 baking dishes without handles: 13.5 x 9.5, 10.75 x 8.25, 8.5 x 6.25. For an everyday use, made of sturdy porcelain, those baking dishes can be used from oven to table. Available in 3 colors: all white, black clay with a matt black finish or black clay with a pepper grey matt finish. Oven and microwave safe. also dishwasher safe. Also available in white and black.